We believe in the power of the unexpected. From our stunning and streamlined studio space to our artful everyday arrangements, we believe in creating an aesthetic that turns heads. From color choice to petal placement, our seasoned team of San Diego florists and event designers work to push the envelope by creating designs that are as striking as they are unexpected. Browse our array of flower services below — or reach out to learn more. Brighten a table, a desk, or someone’s day. Whether you’re hoping to amp up your tablescape for a dinner party, are seeking a stunning set of stems to hand a hostess or simply want to let someone special know you’re thinking of them —our established team of floral designers will craft an inspired, artisanal arrangement that’s sure to score you some serious points. Flowers are the perfect way to bring magic to any moment. Because breathing life into the everyday is what we’re all about. From intimate dinner parties to elaborate company galas, there’s no event our talented team of designers can’t floralize. From simple-yet-striking tablescapes for at-home gatherings to elaborate installations for corporate events, let us bring depth, dimension and some seriously striking stems to your next soirée. 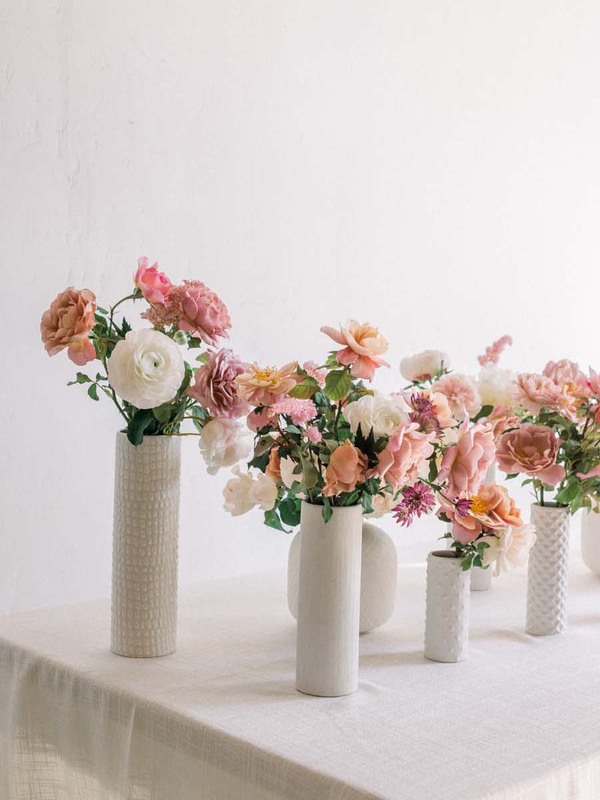 Whether you’re looking for a team-building activity or simply want to plan the perfect girls’ night out, we offer one-one-one, private, and group workshops where you’ll learn to arrange flowers from our seasoned owner in our stunning studio space. Workshops can be one to three days in duration and can focus on multiple aspects of floral design. Possible topics can include but are not limited to, seasonal arranging, design, bouquets, centerpieces, corsages, floral crowns, and installations. Bubbly and snacks always with a parting gift that smells like heaven. Whether you want to treat yourself to fresh flowers in your home or need regular desk arrangements to breathe some life into your office space, our floral subscription is the perfect option to ensure you’re never without the magic of fragrant flowers in the spaces you love the most. Pricing based on your individual needs. Score some serious points four times each year with an artisanal arrangement for special occasions of your choice. Simply give our artists your four chosen dates —and our talented team takes care of the rest. From lush garlands to colorful arrangements to eye-catching installations, our team of San Diego florists and event designers offers custom holiday floral design and decoration services for private homes and businesses alike. From the coziest San Diego beach home to Four Seasons in both Lanai and Vail, we’ve crafted holiday flowers for an array of venues both large and small. Our team of seasoned event designers offers small and full-service event design services. In addition to custom-crafting your flowers, our team can help you with every design detail of your big day. Because the best celebrations are more than just an event—they’re an unforgettable experience.